(Reuters) – Germany’s Social Democrats voted overwhelmingly in favor of joining a “grand coalition” with Chancellor Angela Merkel’s conservatives on Saturday, clearing the way for a new right-left government that will take office on Tuesday. Many leaders in Europe are pushing for a ‘banking union’ to be agreed to this month (see BlackRock cautioning against USA stocks; European finance ministers meeting and Spain expects European banking union by the end of the month). This vote suggests that it could happen that soon. Germany is the main economic engine of Europe and one of the leading exporting nations of the world. Actually, Germany is number three, just below the USA. Unlike the USA, Germany has a trade surplus, not a deficit. This not only helps keep Germans working, it also builds Germany’s wealth and international influence. 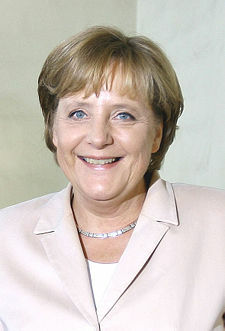 The political agreement that Angela Merkel’s side made is intended to increase Germany’s wealth and influence. And although the EU in general and Germany in particular will have problems (including civil unrest, political, and economic ones; cf. Daniel 2:41-43), the biblical reality is that the Bible shows that a European power with German influence will take over as the leading economic power for a time (Revelation 13:15-18). And right now, we are seeing some of this rise and plans to rise further. This entry was posted on Saturday, December 14th, 2013 at 4:01 pm	and is filed under Prophecy.